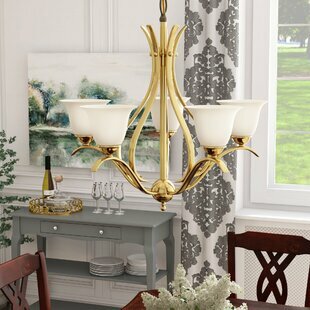 Though herb-roasted chicken and garlic butter brussels sprouts are sure to delight at your next dinner party, this chic chandelier might just steal the show! 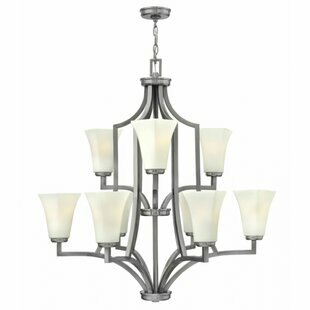 While it shines overhead as you feast on three curated courses, you can keep up a classic and cohesive look by setting the table with glossy white plates, polished silverware and crystal wine glasses. 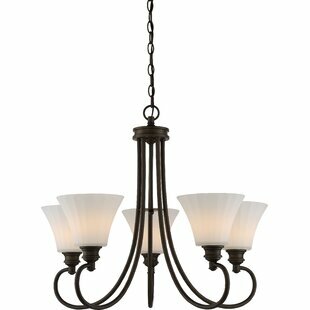 Offering up a curving silhouette, its frame is crafted of metal with an English bronze finish. 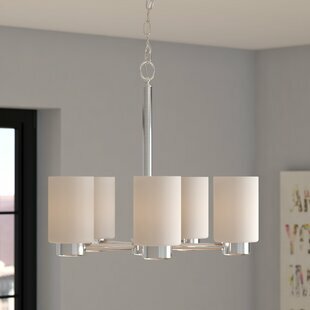 Though its five frosted glass shaded lights... 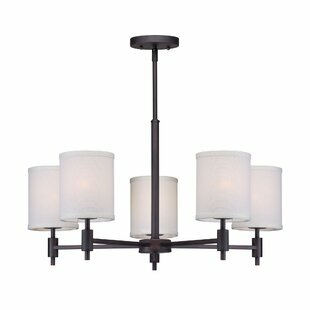 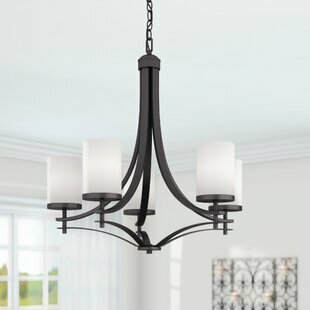 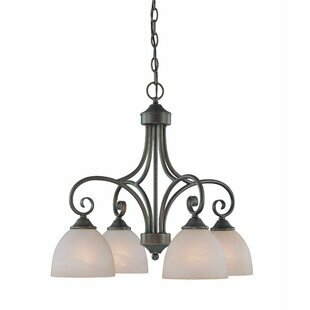 Number of Lights: 5 Fixture Design: Shaded Chandelier Adjustable Hanging Length: Yes Fixture: 26 H x 26 W x 26 D Overall Weight: 14lb.